Over the last several years, there has been an explosion of products and services that aim to improve the lives of our pets. The list is endless, from dog boarding sites like Rover to on-demand walking services like Wag, to less practical innovations like the Bubbletastic Bacon Bubble Blower (try to say that three times fast), and the PooTrap. Steven Vogel avoided bubbles and pursed a more practical path, one that was challenging his family and friends. With four dogs of their own, they discovered that some products made their dogs sick, while others didn’t. It was then that they realized it was really hard to buy products that gave them peace of mind. Steven put his entrepreneurial cape on, crafted the business plan and launched a monthly subscription service to prevent health issues like bad dental health, a dull coat and of course, boredom, because we all know what happens when our fur babies get bored. After running a couple crowdsourcing contests, he and the team landed on the business name WagWell. A moniker that is easy to spell, suggestive and memorable. More on this in a sec. You select the size of your dog, the subscription plan that best fits your budget and then simply enter your shipping address and payment method at checkout. The process is as easy as buying a product on Amazon. 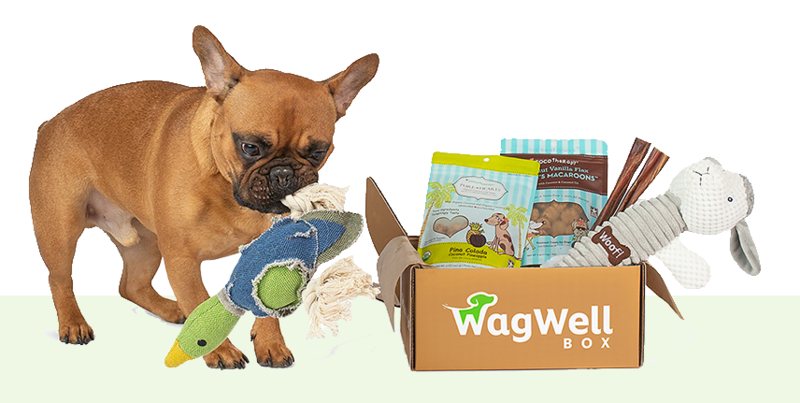 Each month, WagWell will send a box to your doorstep with two bags of organic treats, two natural chews and a premium toy. For smiles and entertainment, we highly recommend following them on Instagram. After you committed to helping dogs live their best life, how did you commence on your naming journey? When we started this project my biggest concern was not standing out and just being noise with all the other competitors that were out there. Over a period of about a month we must have gone through hundreds of names and nothing seemed right or stood out. I was always gravitating towards coming up with a name that is very descriptive that would tell everyone what & who we are. I think most people, like myself, take this route as it seems so logical. So I started doing research on how to choose a name and came across a guide called “The Igor Naming Guide.” This guide really helped me see the light on how to create a proper product name that would stand out and, more importantly, people would remember. That is when I decided to go to a naming agency to find help. 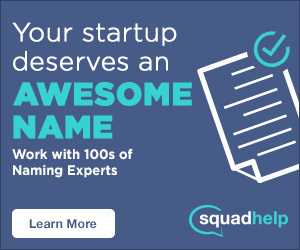 We ended up going with a heavily advertised crowdsourcing company called Squadhelp. It was an interesting experience as this was the first time I had used crowdsourcing for anything. We thought the more people submitting name ideas the better. But in reality it just made things worse, as not everyone has your best interest at heart and would just keep on submitting re-arranged words that created more and more noise and made the experience frustrating after receiving almost 1,000 different names. What convinced you to work with Ink & Key over other crowdsourcing sites? After working with a major crowdsourcing company, we decided that going with a smaller one that had more of a personal touch would be a better option for us. We were now looking for quality not quantity. After reading different forums and reviews we decided to go with Ink and Key. What did you like most about working with Lynn and team? The big difference was that they have a team of people that they have vetted over time that truly care about what you want in a business name and will listen to your feedback. The other thing that I was impressed with was that they did not give up on finding a name for us. What surprised you most about the crowdsourcing experience? The different directions that you can get from name submissions. Other people can see things differently from you and suggest names, or use words that you never would have thought of. This can trigger a whole different avenue of ideas and direction. Knowing what you know now about naming, what advice would you give other entrepreneurs? I would say to do your research on your competitors and industry to see how crowded it is. This will determine which direction you need to go with your name. Then once you have gotten your list down to the top 3-5, test them with a group of people to see if they meet your objective. Big thanks to Steven for sharing his naming journey with us! If you have started a business before, tell us about your naming journey in the comments below.